Updates to DORIS' profile since your last visit are highlighted in yellow. Liandra- More…born 1990- graduated U of Mass, Amherst, took her junior year at Tel Aviv University. Received her MSW at Columbia University; is working at a charter school in the Bronx. Beau Sterling Perkins, born March 7, 2013. On graduation, I worked as an Executive Secretary to the Vice President of an advertising agency in Manhattan, while I lived in the Village for a year. I then taught 2nd grade, 3rd grade and special classes for 7 years while I was attending Queens College for School Psychology, worked as a School Psychologist for Nassau Boces hearing impaired and intellectually challenged and Amityville UFSD for 35 years, retired and am working full time in private practice and consulting for the NYC schools and CSE meetings. I married Sy Aptekar in May, 1989 and had Liandra together, 1990. I live in Roslyn, New York and Dorset, Vt., which is my tranquilizer. Mr. Gammerman's class and the political influence it has brought to my life. Ms. Green and how she exposed me to poetry. High school romances,dramas,experiencing the romantic loves, hurts, and sensitivities of adolescents. Driver's Education...cutting class to drive to the airport and back with Sharon Weinroth/ learning how to change a flat..never did...thank G-d for AAA. Reading Norman Vincent Peale's book in the guidance office. The confusion, excitement, and fear in applying for college. Football games and helping run the food concession. Lining up in squads for gym. DORIS WEINBERG APTEKAR posted a message. DORIS WEINBERG APTEKAR added a comment on Profile. A most special wish to a most special person...abundant health, joy, happiness and love. You have an indelible mark on my life: from Yucatan, Mexico to Madrid to the Spanish language. I have kept my high school Spanish alive by travelling to Spanish speaking countries around the world, at work and finally becoming a Bilingual Psychologist....all from high school Spanish....Although I'm frequently in the 'present' tense, I have been able to make myself understood...all thanks to you. When I think of you and the faculty at North, I realize there were so many young, perhaps first year teachers....we were blessed....and I, personally, have been blessed that whenever I speak a word of Spanish, I always have a picture of you sitting on the corner of a desk, in a skirt and cardigan with a book open. A most joyous Happy Birthday...all good....health, peace, family, love. Congratulations....any and every road to happiness is timely! I wish you and your 'bride' good fortune, good health, good times with blessings and happiness. A belated happy birthday....with all the frills and substance that life can bring. my younger daughter...so didn't look at mail. Steve, Thinking of you always brings a smile....because of your warm personality. A belated happy birthday with much joy, love and health for the year ahead. Best wishes for a beautiful day and a year filled with much health, love, and peace. Doris Weinberg Aptekar...I sent my condolences when I learned about Roger, actually I went to funeral home...no one was there...so sorry...My husband died 11/2 years ago....a tsunami of emotions and changes. I live in Roslyn...we could meet, if you like. 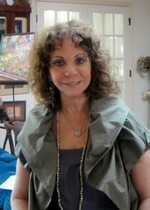 DORIS WEINBERG APTEKAR posted a message on BONNIE RICHTER's Profile. A most happy birthday with a year ahead filled with health, joy, love and peace. I would love to meet in the city and connect after such a long time. Let me know. DORIS WEINBERG APTEKAR added a comment on GEORGE MINKOFF's Profile.